MARK LONG is a London-based freelance illustrator. He has worked for a number of clients, including The Guardian, The Independent, Creative Review, The New York Times and Google. Mark is currently working on Sportopedia for Wide Eyed Editions.ADAM SKINNER is a sports journalist at The Sun newspaper. He lives and works in London. 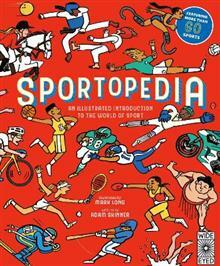 Adam is currently working on Sportopedia for Wide Eyed Editions.